Longyearbyen is situated in a valley next to Adventfjorden on 78° 10`north. 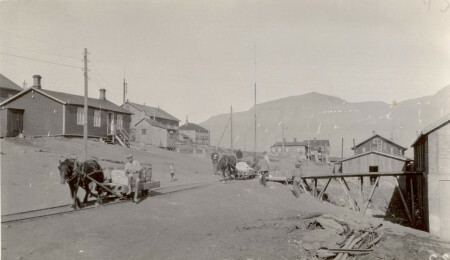 During the summer of 1900, businessmen from Trondheim formed Kulkompagniet Trondhjem-Spitsbergen and occupied the coalfields in Longyearbyen. 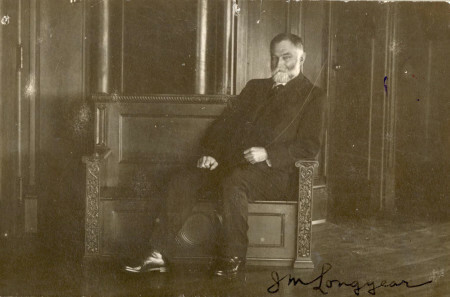 The company quickly began to look for foreign buyers, and in 1905 a deal was made with the American businessmen John Munro Longyear and Frederick Ayer. Together, these two established The Arctic Coal Company (ACC), which developed the mining operation in what was called Longyear City, later becoming Longyearbyen in Norwegian. 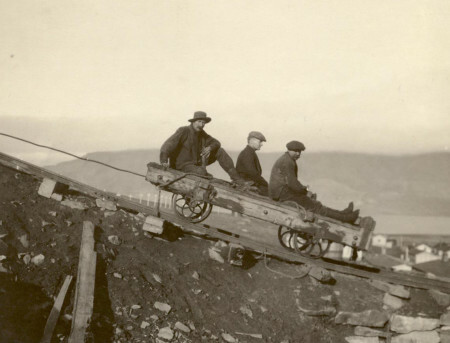 The time that ACC ran the mines, 1906-1915 is known as ‘the American period’. A lot of money was invested during these years, and gradually a small, complete, industrial community grew. A couple of hundred people were working on a yearly basis. The workers mostly came from Norway or Sweden, whilst the management was often British or American. This pioneer period was affected by discontent, unrest and strikes. The workers’ living conditions were primitive. They were quartered in large 32 or 64-man barracks, in 4-berth stalls. Hygiene was poor due to the limited water supply and the food was especially poor in spring before the new supplies arrived. When the workers endured it was probably due to the fact that the wage was good compared with the mines and construction sites on the mainland. In 1916 ACC and all the American properties were sold to Norwegian interests- Det Norske Spitsbergensyndikat. The syndicate also bought the coalfield in Grønfjorden, and in November 1916 Store Norske Spitsbergen Kullkompani AS (SNSK) was founded. During the winter of 1917-18 around 180 men as well as 34 women and children overwintered. By 1920 the numbers had increased to 289 including 37 women and children. In 1925 Norway attained sovereignty over Svalbard. This had a minimal effect on the community in Longyearbyen, which was run as a private ‘company town’ by SNSK. It was not until the 1960’s that demand for modernisation and normalisation began to arise. Development rapidly increased in the 1970’s, when the Norwegian authorities became actively engaged in Svalbard politics. The aim was that Longyearbyen should become a family community on the same lines as other towns in Norway. The opening of the airport in 1975 was a watershed: isolation during the winter months was broken. In 1976 the Norwegian state took over the shares in SNSK and thereby control of the development of the community in Longyearbyen.